Days seemed to turn dark faster as we move into the last quarter of the year here in Malaysia ... at least that's what I've noticed. There just seemed to be shorter days now, especially when there are a lot of excitement and merriment during this period of the year. Three quarters of 2012 ends today and the last one is left to re-evaluate, revise and redirect our directions towards achieving a balance life that we are happy with. Whatever progress that is not forthcoming and whatever inconvenient and annoying elements in life that are harping us should be resolved as soon as possible before we can embark to make any new resolutions for the coming year. First and foremost, it is important to get rid of the emotional junks that plagues us throughout the last three quarters. Being thankful is the best attitude towards life that is likely to help us feel that everything will work out for the best in the end. 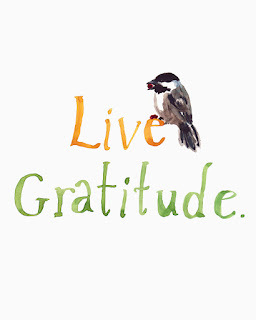 Gratitude is the best remedy to get rid of all our emotional junks and mindless clutters. We become more expansive and tolerant and will be under less stress than usual. We will be less inclined to sweat the small stuff and take up life with more vitality. 1. I am grateful that all my efforts towards restructuring and organizing my life has begin to pay off. 2. I am grateful for the freedom I am enjoying in life nowadays. 3. I am grateful to discover my dream job of working from home. 4. I am grateful for the long-distance business opportunities that has come my way. 5. I am grateful for the opportunities to travel and expand my horizons. 6. I am grateful that my son has graduated with a diploma and is now pursuing his degree. 7. I am grateful to have taken vacant possession of my new home and all works are underway to spruce up the place for cozy living soon. 8. I am grateful that lo kong is now relocated to work nearer to home which means lesser traffic jams, longer sleep and more family time. Are you ready for an attitude of gratitude yet? Start now and you will soon discover a more solid base to pull up your inner strength that defines your authentic ability, confidence and vigor to go after what you want in life. Good luck!